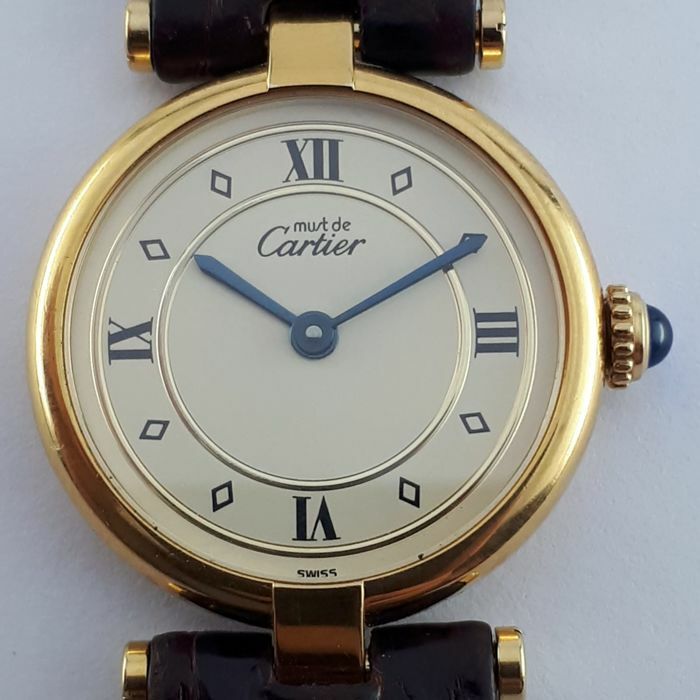 Pre- owned Cartier Must de Cartier, model reference 590004. 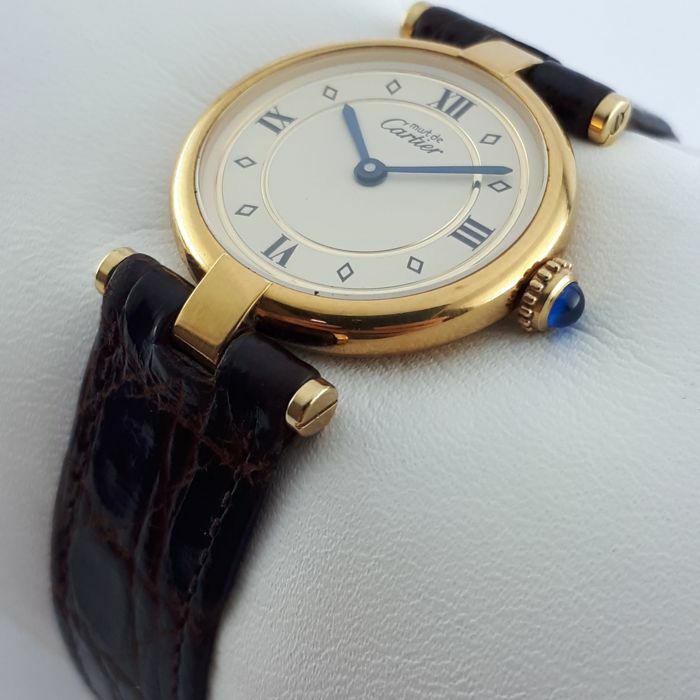 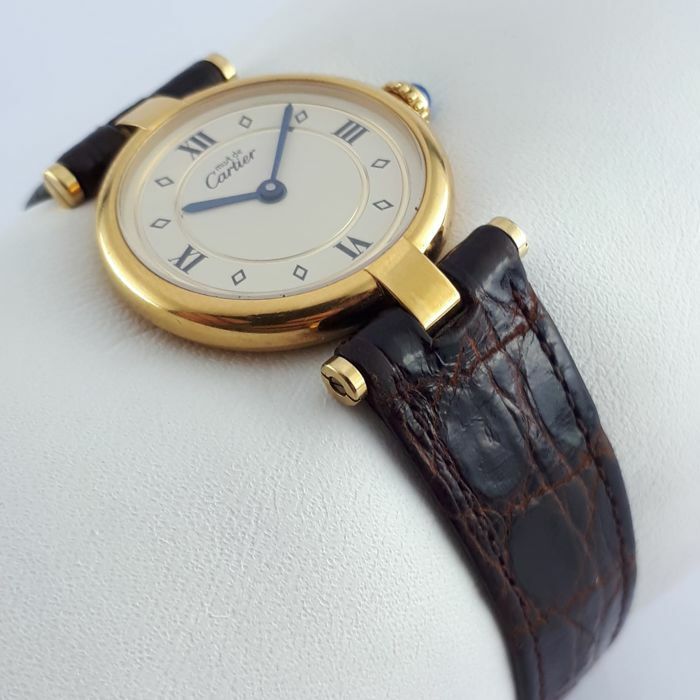 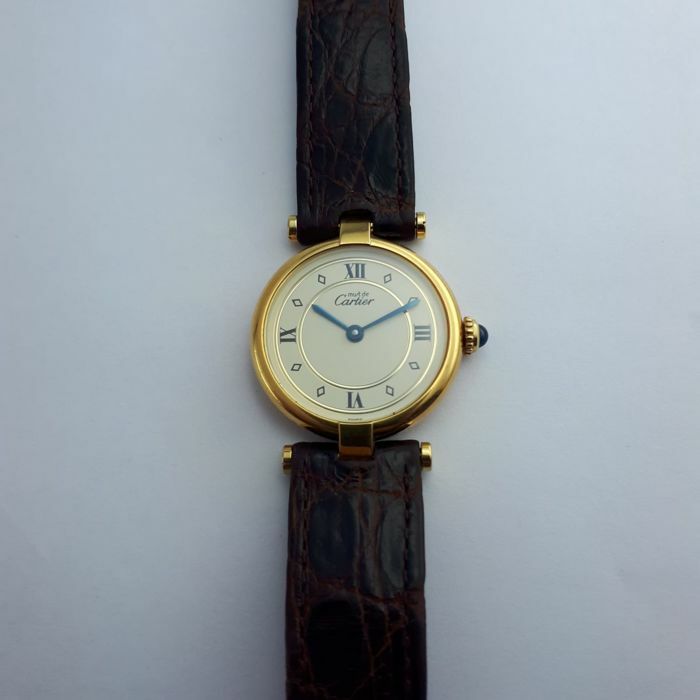 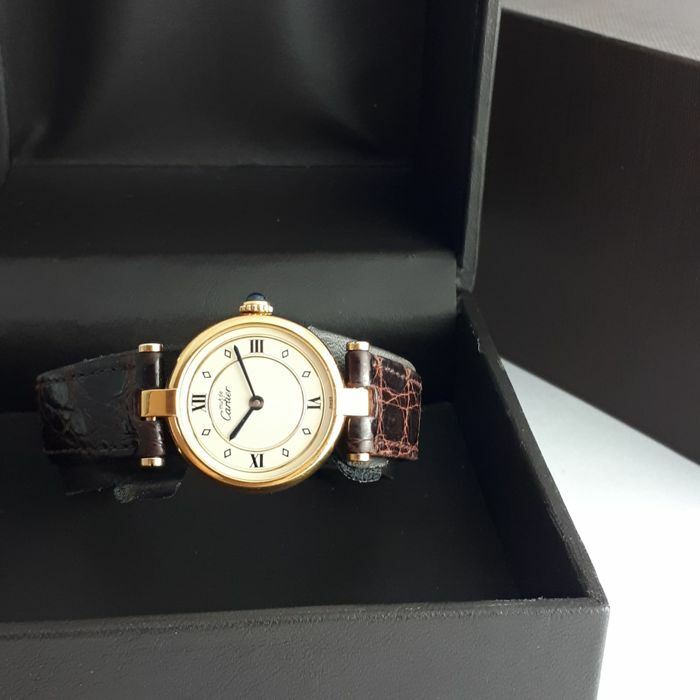 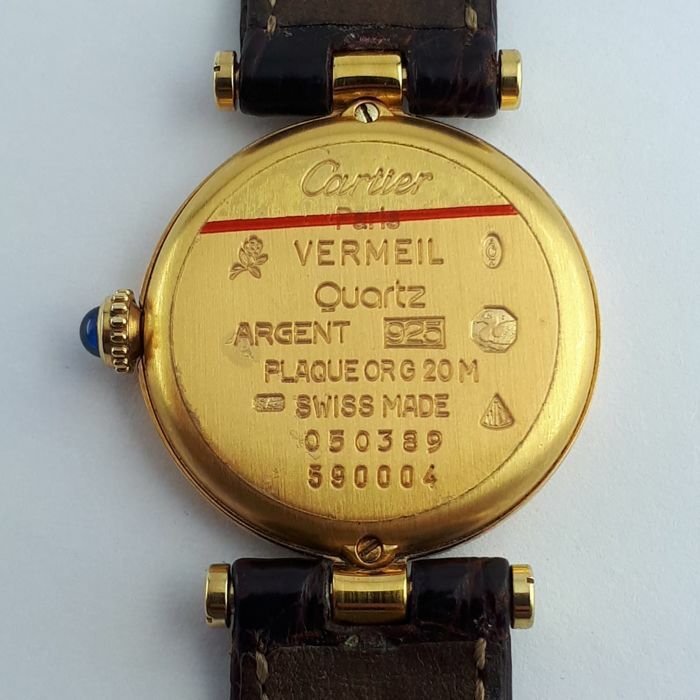 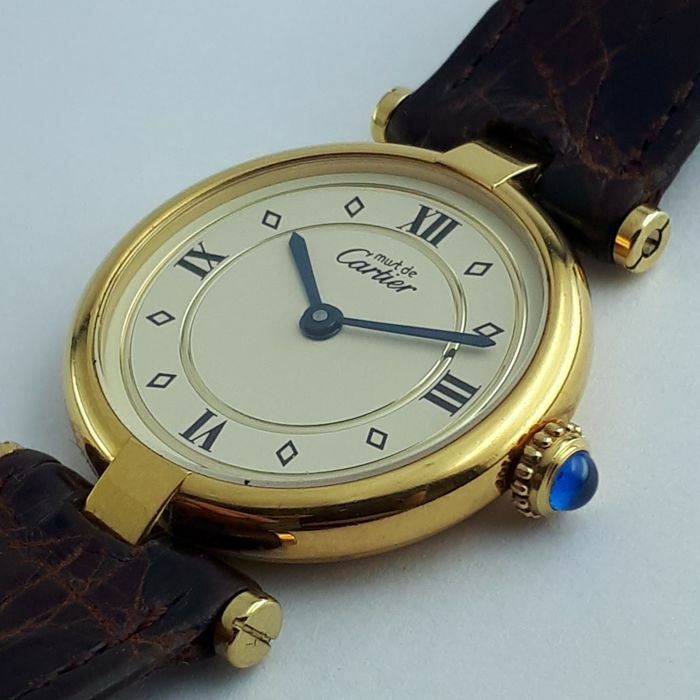 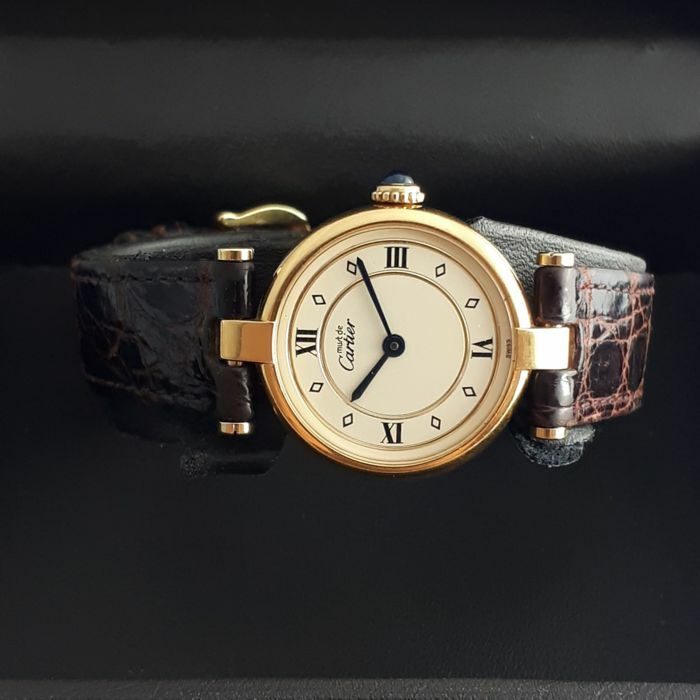 Sterling silver vermeil (18ct gold plated, hallmarked silver) 25mm watch case, cream dial with Roman numeral quarter hour markers, quartz movement, fitted to a brown crocodile leather strap (original Cartier) with pin buckle fastener. 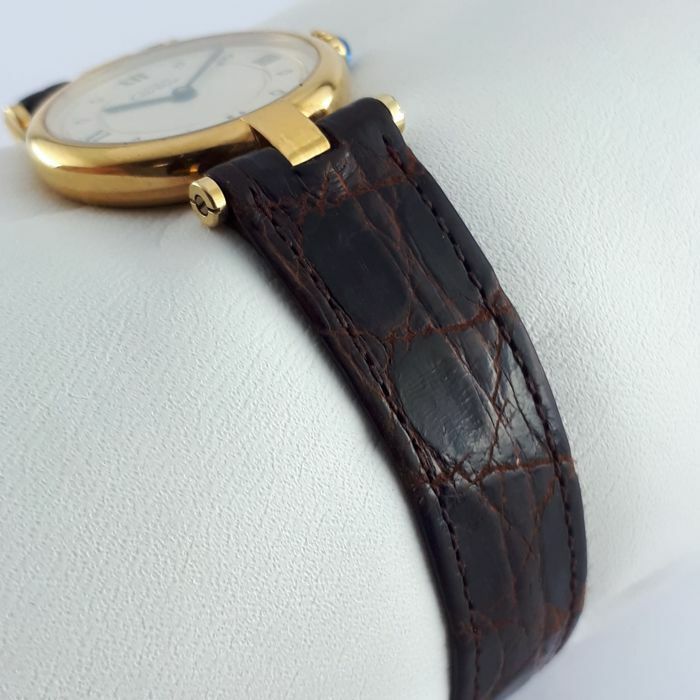 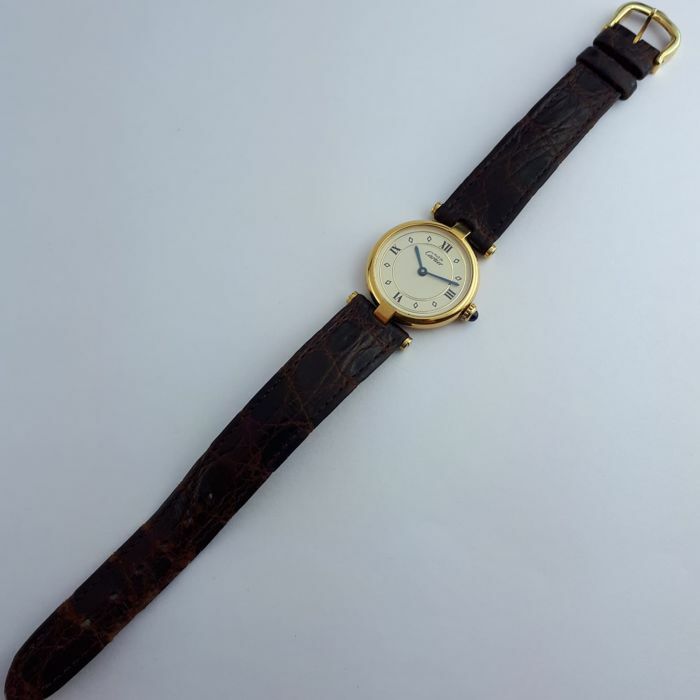 The leather strap does have some wear as it is the original, however it does not need replacing in the short to medium term.